Dear Readers, it is very important to look for hints when a stock consolidates. If a stock consolidates in a narrow range and if finally breaks out in the direction of indicators, that is the ideal situation. Sometimes stocks give false breakouts. How do we identify false breakouts ? See the chart below. I saw the daily 5 min chart of DLF on Jan 31. DLF consolidated and breakout was upwards. But indicators were moving in the opposite direction. The upmove was not sustained and stock finally crashed. 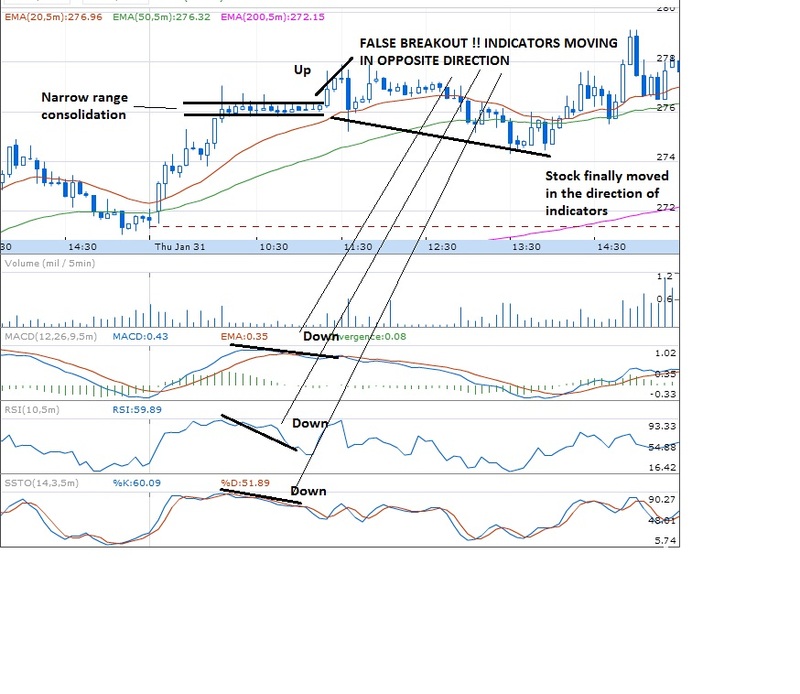 Excellent example of false breakout.